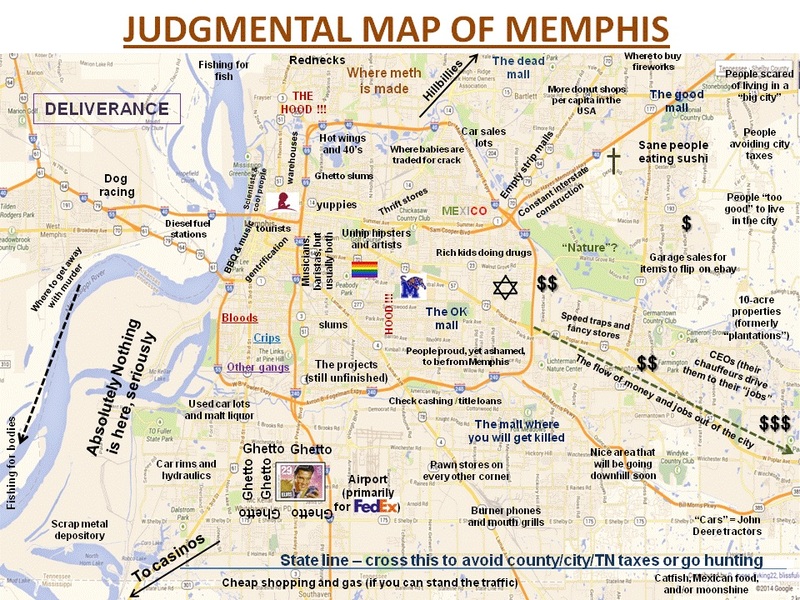 So I stumbled upon this judgemental map of Memphis this morning. I had seen it before maybe a few years ago, but it has resurfaced! I must admit it was pretty funny. I don't know if anyone would truly be offended by it. Well maybe if you don't have the best sense of humor, but there's a lot of truth in jest as they say. I do love my Memphis, but I'm not naive to the issues we have here as well. I took it as satire but with a dose of reality and truth. What does this map say or mean to you? Do you agree? Disagree? Reply in the comments!! follow on Facebook (one901) and Instagram (@_one901) for more pics and other interesting things.